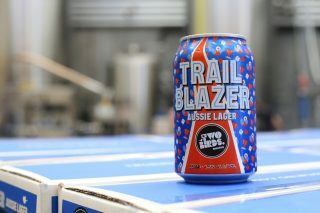 Australia’s first female owned brewery, Two Birds Brewing, has teamed up with the Western Bulldogs to create a new Australian lager, Trail Blazer. 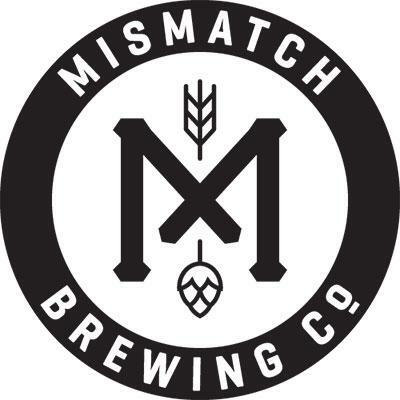 This unique collaboration brings together the first brewery to set up in Melbourne’s Western Suburbs, with the women’s branch of the west’s AFL team. The Two Birds Brewery & Tasting Room was established in Spotswood in 2014. Trail Blazer, a crisp, clear and refreshing beer brewed with Australian malt and hops, encapsulates the values that Two Birds and the Bulldogs hold dear – mateship, winning spirit, commitment, effort, hard work and passion. The can’s design features the Bulldogs’ red, white and blue colours, and illustrations of a cup to celebrate winning and backing yourself, the sun setting on a new trail being blazed, and Two Birds’ signature birds to highlight the importance of teamwork. The new beer – the first lager packaged by Two Birds – will be available at AFLW and VFL games played at VU Whitten Oval during the 2018 season, followed by a wider release across Australia in April. Two Birds co-owner and brewer Jayne Lewis is well known for her love of the Western Bulldogs, so creating a beer with the club’s AFLW team has been incredibly rewarding. “I was lucky enough to watch the men win the Grand Final in 2016, so to work so closely with the women’s team on Trail Blazer is awesome,” Jayne says. For the Western Bulldogs, partnering with Two Birds Brewing was a natural fit for the club, with CEO Ameet Bains saying he is proud to be working with a fellow western suburbs business. Two Birds co-owner Danielle Allen says building a relationship with the Western Bulldogs has always been a business goal for Two Birds, and seeing it take flight has been a special milestone for the whole team. “It’s particularly special as the partnership is working with the women’s side, and as Australia’s first female owned brewery, we are immensely supportive of women following their dreams, no matter what history has preceded,” she said.